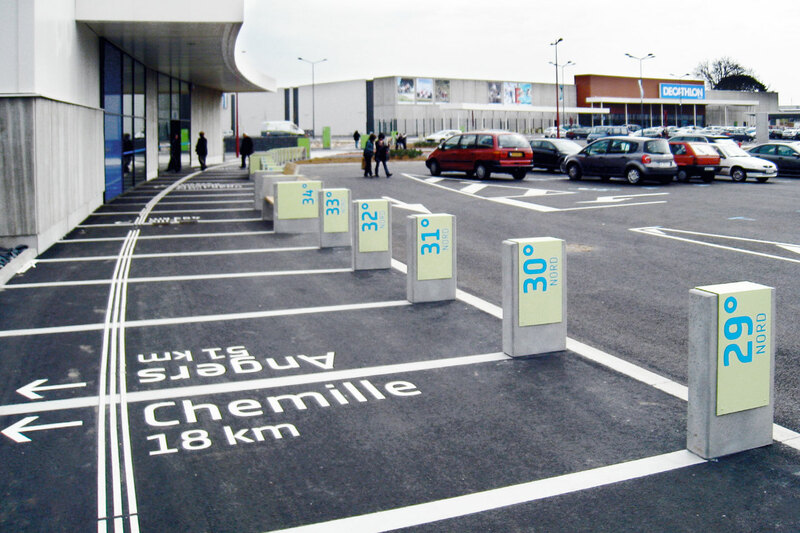 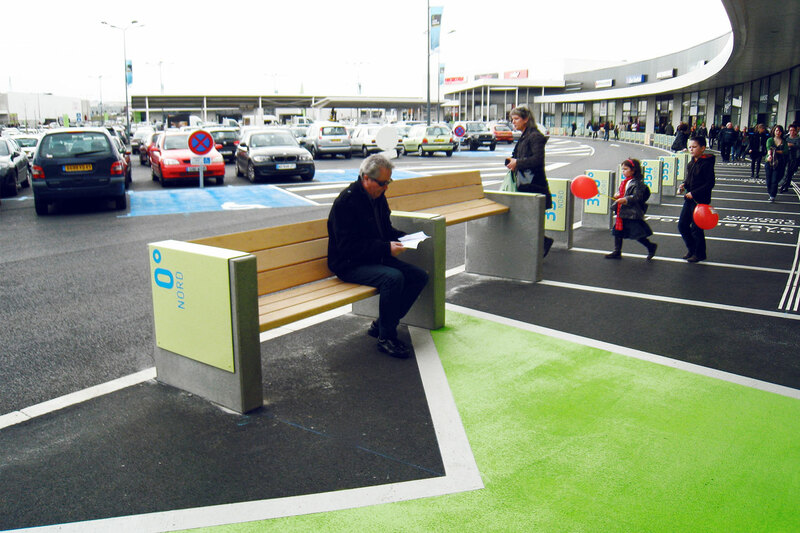 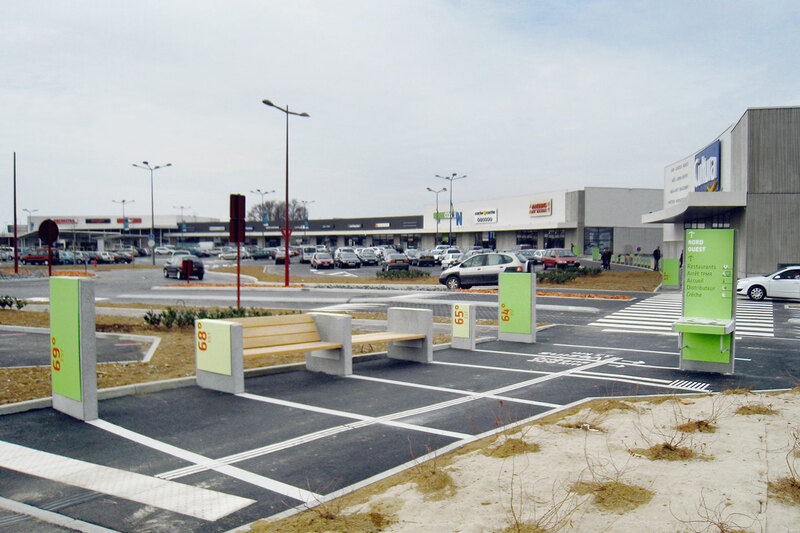 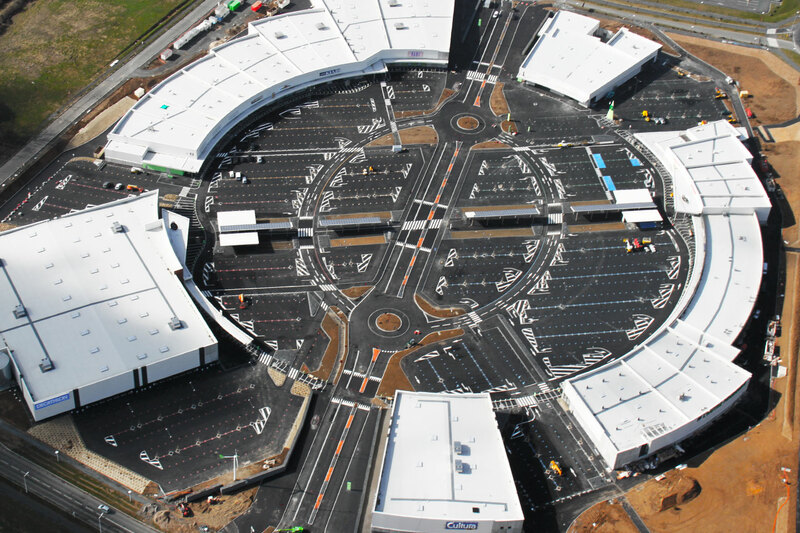 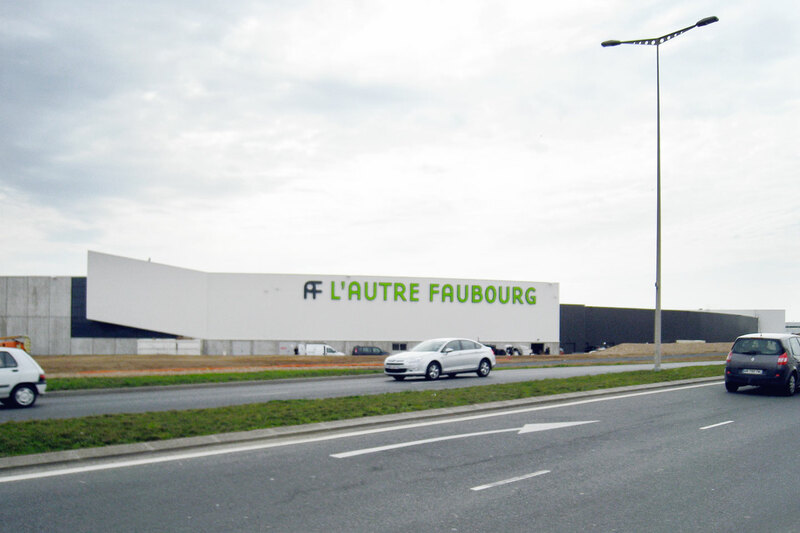 Intégral Ruedi Baur was asked to design a signage system for L’Autre Faubourg, a shopping mall in Cholet in France. 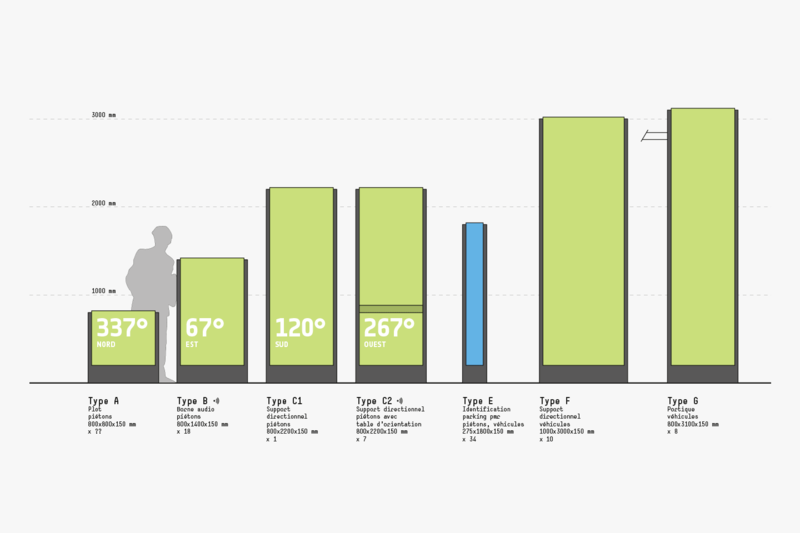 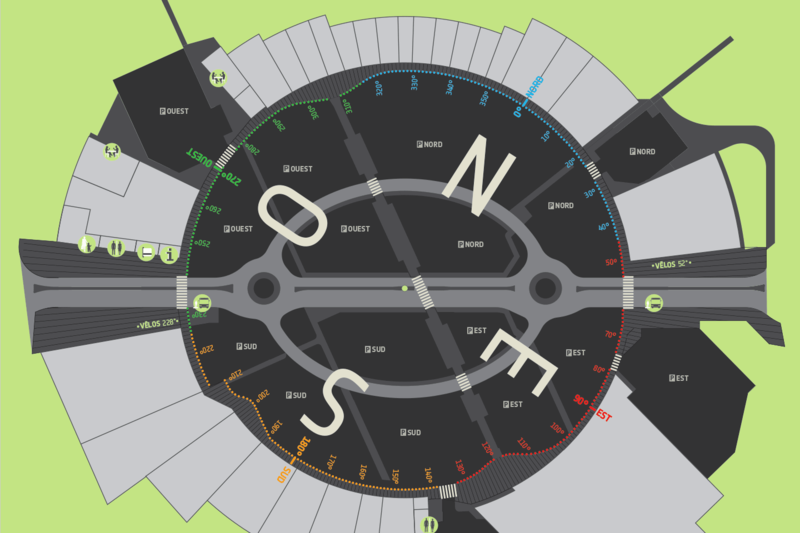 The basic idea of the signage system refers to a compass, enabling orientation in the circular areal by cardinal points and markers from 0 to 360 degrees. 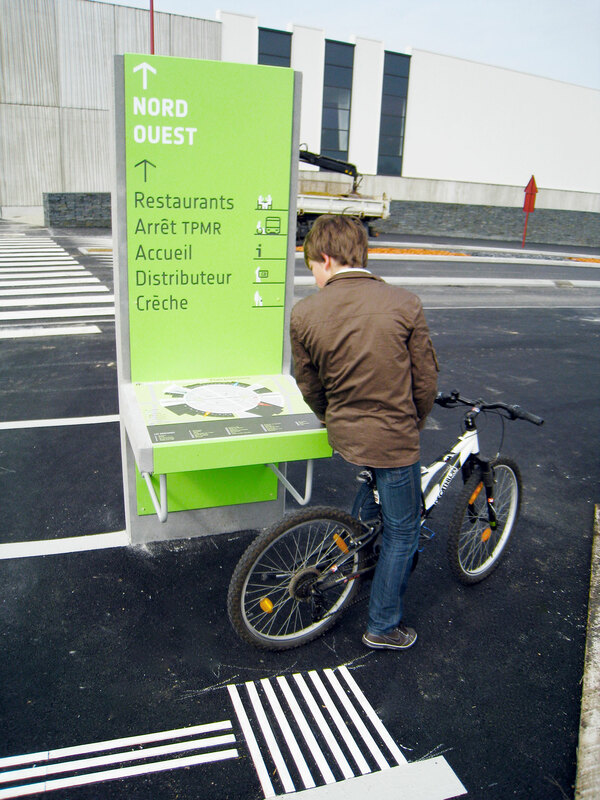 In addition to the numerous sign posts, there are applications on the ground showing the direction and distance of nearby towns and villages. 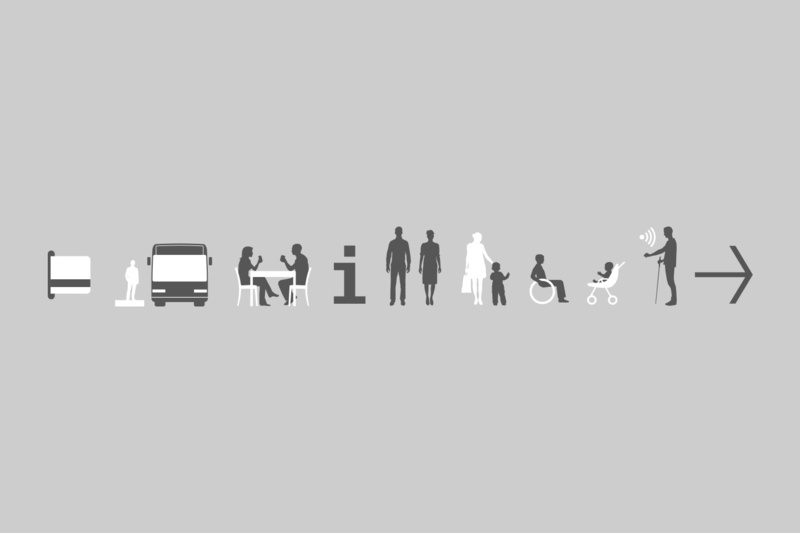 I was working on the implementation plan, a typology of all the signage elements, sign contents, the pictogram set, a tactile area map for blind people as well as graphics and typography on signs, walls and on the ground.